Solid premium American white oak Top Hat moulding bead. 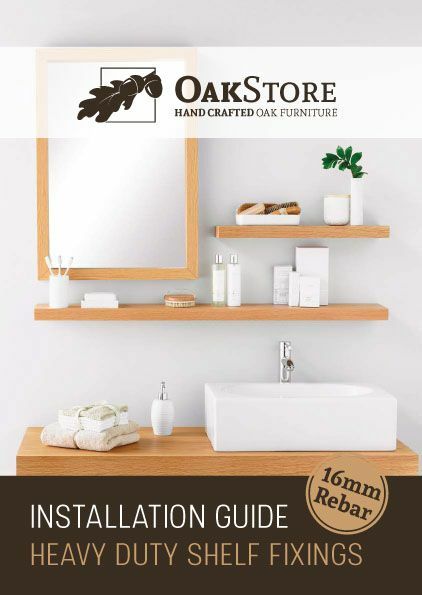 The American white oak top hat is made from premium grade kiln dried oak and planed to a smooth finish with a modern design, suitable for internal & external use for capping joints, edging & joining panels, decorative moulding for framing. Note: American white oak mouldings are made from premium grade solid oak however very small knots may be present. Solid oak top hat bead is supplied untreated for you to add your own stain/varnish/wax or oil, or you can select from our choice of in house finishes. To order samples see our accessories page. Here you can see a range of custom profiles we can apply to your shelf to give extra appeal and often help blend to your existing furniture. 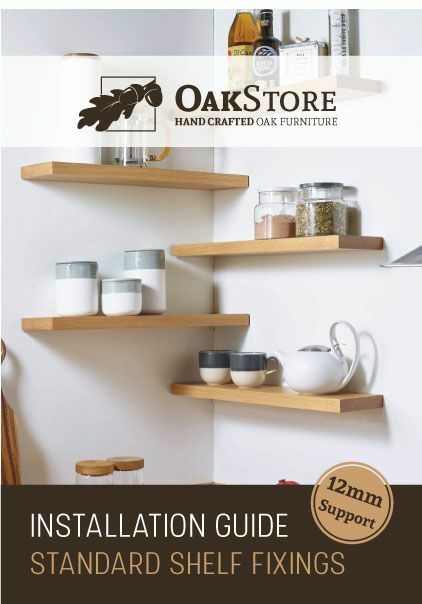 All the profiles we do at Oak Store Direct, are available on any shelf and thickness, we can profile the shelf corners as well as the edges and customise to your liking. Should you have a specific profile in mind, (i.e. to match a piece of furniture), email us a picture and we'll see what we can do. (See "Contact Us"). To add a profile to your order, simply select from the drop down menus in the item page when ordering. We offer Click & Collect from our west Yorkshire trade counter as well as delivery services to the whole of the UK, Ireland, IOM, Highlands & Off Shore. We now also offer services to France and Guernsey. Please take a read through our delivery details. We manufacture over 15,000 different variations of products, colours and sizes and lead times can vary according to the quantity and complexity of the order. To get a shipping price just add your products to the basket and go to checkout, enter your post code and all shipping options will be offered. Some items/multiply order quantities may result in the use of a different courier to the one selected at checkout to ensure we can fulfill your order requirements. Most of our timber products are manufactured to order, and usually incur a lead time unless an item is in stock/standard. The lead times stated here are an indication of approx manufacturing and delivery lead times. When ordering products with differing lead times please be aware that the goods will arrive together and the longest lead time will apply. Lead times provided are approximate at the time of ordering and and estimated time it takes for an item to be dispatched from us, and are subject to exceptions as indicated in our terms and conditions. **We reserve the right to change this at anytime. We offer a click & collect service from our warehouse in West Yorkshire. To use our collection service select the click & collect option when making your order. We will call/email you to arrange a convenient collection day/date/time. Please Note: Orders/Payments cannot be processed at the collection centre. Orders MUST be processed online or by phone BEFORE collection can be arranged. A copy of your invoice must be supplied for releasing the goods. Saturday delivery can be arranged with some of our couriers. Length/weight and location depend on the services available to us on a Saturday. We don't have standard prices for a Saturday delivery service but we can arrange it. Just send us a screen-shot of your basket and let us know the post code and we can quote it for you. Contact Us for further information about Saturday deliveries. rush our products through production. If you're in a hurry for your order, please do contact us before ordering to ensure we can meet your time frame. Please Note: Before booking carpenters and fitters please check your delivery will be made on time. Lead times are approximate and can change from week to week. Please do not arrange installers on the same days as your delivery as couriers can deliver up to 6pm. Once your order is ready you will receive a "dispatch notice" by email when your item has been collected by our courier; your parcel will then be delivered the next 'working' day (NB: some items are sent on a 48hr Service depending on the size/postal area - please ask). Should there be any problem, please let us know straight away. Please review our full Terms and Conditions for further information on shipping and general terms of sale. 1.1. “Buyer” means the person or company from whom an order has accepted. 1.2. 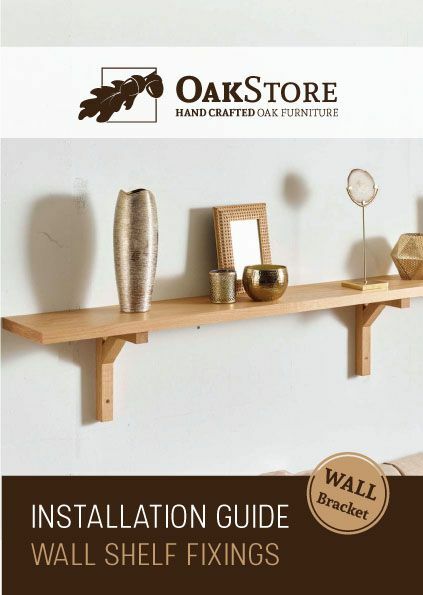 “Seller” means Oak Store Direct Ltd trading or subsidiary of. 1.3. “Goods” means the items or products supplied by the seller in 1.2 to the buyer in 1.1. 1.4. “Order” means the order placed by the buyer in 1.1 for the supply of the goods or an acceptance of a quote for the supply of goods. 2.1. By placing an order with the seller, the buyer agrees to be bound by these terms. If you do not accept these terms, you may not use this site or access or display any of the information made available to you on this site. 2.2. Oak Store Direct Ltd shall sell and the buyer shall purchase the goods in accordance with any written, electronic or verbal order and/or quotation with the buyer which is accepted by the seller, the order is subject to these conditions, which shall govern the contract to the exclusion of any other terms and conditions subject to which any such quotation is accepted or subjected to be accepted by the buyer. 2.3. Any variation of these conditions (including any special terms and conditions agreed between the parties) shall be inapplicable unless agreed in writing by the seller or some other person authorised by the seller. 2.4. Any typographical or clerical or other error or omission in any sales literature, quotation, price list, acceptance of offer, invoice or other document or information issued by the seller shall be subject to correction without any liability on the part of the seller. 2.5. Photographs and pictures of products and/or goods are for illustration purposes only and are intended as a graphical representation of the item you will receive and not the actual item(s) you will receive. 2.6. Typical lead times given on the website and within quotations are for guidance only. The lead times are subject to change without notice and can differ to the lead times given when an order is accepted. The buyer should expect that when an order becomes “custom” or “Bespoke” the lead times are affected to allow the additional time to complete the order. 2.7. An order or item becomes “custom” or “bespoke” when it is but not limited to; drilled, profiled, jointed, cut to size, finished/treated or made to measure. An item and/or product listed on the website are not necessarily a stock item and could still be a “custom” or “bespoke” item and/or product. “Custom” or “bespoke” items are non-returnable as outlined in clause 13.1 and cannot be cancelled if manufacturing has begun as outlined in cause 12.1. 2.8. The seller offers a colour match service, although an exact match cannot be guaranteed, due to the cut of natural wood is different in each piece in tone, texture and grain, the seller will endeavour to get the closest match, the buyer accepts this and should the buyer wish to return the product they can do so under the sellers return policy in clause 13. All additional work and the delivery costs are met by the buyer. 2.9 When the buyer provides an image for a colour match the buyer should either provide this as an upload with their order or as a .jpg or .pdf attachment to an email. The seller cannot guarantee an exact match although the seller will endeavour to get the closest match, the buyer accepts this and that camera and screen resolutions may vary which may affect a tone of a colour match. 3.1. The seller always supplies to the nearest available length, as such the lengths may vary. 3.2. The seller will always endeavour to choose lengths which closely match the buyer’s requirements but generally there may be some extra supplied and may be charged for. This is particularly the case where short lengths are required. 3.3. Due to the nature of wood, each piece may be of different shades, the seller will attempt to select similar shades if pieces are to be joined together should the buyer inform the seller of their intent. 4.1. Although the seller makes every effort to ensure that published prices and quotes are as accurate as possible, the seller reserves the right to refuse the sale of mis-priced or mis-quoted goods. 4.2. All prices are in UK Pounds Sterling. 4.3. All goods are subject to delivery charges, where applicable, and VAT at the standard rate. These may not always be included in the quote and are subject to the buyer’s geographical location. Delivery charges are dependent on the delivery address of where the goods are to be shipped which may differ as they are calculated on weight and length. The buyer accepts that the seller reserves the right to pass these charges to the buyer where necessary. 4.4. The seller may contact the buyer for additional charges after the order has been accepted should the delivery cost be greater, goods will not be dispatched until the additional payment has been received by the seller. 5.1. A binding contract is formed between the buyer and the seller when the buyer receives confirmation from the seller by e-mail, telephone or other agreed means that the buyer’s order has been accepted. 5.2. After acceptance the buyer shall not be entitled to reject the goods which are in accordance with the contract. 5.3. Subsequent additions and/or amendments to accepted orders could incur an additional administrative charge to the buyer. 6.1. The buyer is solely responsible for ensuring that the goods are suitable and fit for the purpose. 6.2. The seller reserves the right to refuse the supply of goods at its discretion. 7.1. Where the buyer is placing an order for items payment is due prior to order confirmation and dispatch. 7.2. The seller accepts online payment with all major credit and debit cards, including Visa, MasterCard, Delta, Switch, Maestro. No charge is made to a consumer for credit card payments. These payments may be processed by the seller through a third party. 7.3. 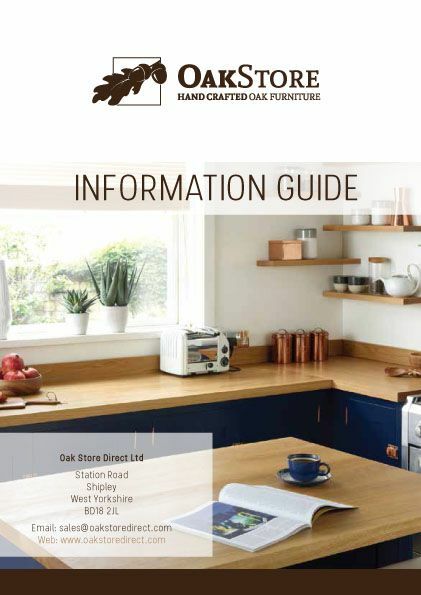 The buyer can choose to pay by personal cheque or bank or building society cheque, the cheque will need to be made payable to Oak Store Direct Ltd. The buyer’s home address and telephone number must be written on the reverse of the cheque. The order will be processed after the cheque has cleared. 7.4. The buyer can choose to pay by bank transfer (also known as BACS transfer). The seller will supply bank details to the buyer. The order will be processed after the payment via bank transfer has been received. 8.1.1. Cash on collection of items, a payment may be requested prior to collection. 8.1.6. Personal or company cheque or bank or building society cheque. 8.2. Payment will only be deemed to have been made upon clearance of funds in the seller’s bank account. 9.1. All goods are offered subject to availability. Where goods are found to be unavailable or discontinued, the seller will offer a similar substitute if available, subject to the buyer’s agreement. 9.2. Where the buyer orders goods with different lead times, the goods will arrive together, the longest lead time will usually apply. 9.3. The seller may make any changes in the specification of the goods which do not materially affect their quality or performance required to conform with any applicable statutory requirements where the goods are supplied to the seller's specification. 9.4. If a suitable substitute is not available, the transaction for that item will be void and any payment will be returned. 9.5. In the event of any product being unavailable, the seller shall be relieved of any liability in connection with all such contracts or orders. In no case shall the seller be bound to obtain or deliver goods from any other sources than those contemplated in the order. 9.6. The seller will not be held responsible for any costs incurred due to items being delayed or unavailable. 10.1. The seller uses numerous ways of delivering the goods. These include the use of independent couriers. 10.2. Deliveries will usually be made Monday-Friday between the hours of 8:00am and 6:30pm. The seller is usually unable to give an estimated delivery time as all deliveries are at the courier’s discretion. 10.3. Any delivery date or delivery time is for guidance only and the seller shall not be responsible for any costs incurred by the buyer in the event of late delivery. 10.4. All delivery dates as indicated in clause 10.3 can be affected by bank holidays, circumstances stipulated by clause 14 and “exceptions” made by the courier; the seller holds no responsibility or liability in these cases. 10.4. The couriers used by the seller do not guarantee a pre-delivery phone call service or any other form of notification by text, email or other means and therefore, may not contact the buyer directly regarding delivery. 10.5. All orders will be delivered to the nearest access point to the delivery address, and the seller or its independent couriers, will not be responsible for further movement of the goods. 10.6. It is the buyer’s responsibility to advise the seller of any restrictions regarding access to the delivery address at the point of ordering or prior to the goods being despatched. 10.7. The buyer will bear the costs of any re-delivery charges incurred as a result of not informing the seller of access restrictions to the delivery address point. 10.8. The delivery vehicles may not have cranes or forklifts. It is the buyer's responsibility to provide offloading equipment to facilitate offloading of deliveries of heavy items should it be required to do so. 10.9. Should the buyer be unavailable to accept the goods at time of delivery, on a day that has been agreed beforehand with the buyer, then the buyer shall bear the cost of any re-delivery. 10.10 Should a courier be unsuccessful in a delivery attempt(s) the goods will be returned to the seller by the courier, any charges imposed by the courier may be passed on to the buyer by the seller and any further re-delivery charges. This includes but not limited to, a refused delivery. 10.11. The seller offers free delivery on some of its products. Free delivery offers are only available for deliveries within mainland UK and can also exclude some areas of Scotland, Northern Ireland, Channel Islands or other remote parts of the UK or overseas. 11.1. The buyer must examine all goods on delivery in case any damage has occurred in transit. The driver should be notified immediately of any problems and the delivery card should be signed accordingly. The seller must also be informed within two working days in writing with corresponding photos of the damage and the packaging. 11.2. If, in exceptional circumstances, the buyer is unable to fully check the goods at the time of delivery, the seller must be informed as soon as possible of any damage with photos of the products and packaging. 11.3. The seller cannot guarantee to replace or repair items which have been signed for in good condition or 'unchecked' and are later found to be damaged. This does not affect the buyer’s statutory rights. 11.4. The seller will not accept any liability for any goods that have been repaired before the seller has been given the opportunity to inspect them or to give authority for repair work to be carried out or in cases where components supplied have not been used. 11.5. The seller may offer a replacement of damaged goods and the buyer accepts that if a replacement is arranged that sufficient time in accordance with lead times will be required. 11.6. If goods have been delivered in a damaged state and the seller feels the situation cannot be improved by authorising another delivery, we reserve the right to refund the buyer in part or in full and/or cancel the order in part or in whole. 12.1. Under the Distance Selling Regulations the buyer has a right to cancel their order for any item purchased on the seller’s website at any time before the goods are despatched, or within 7 days of receiving the goods and for a full refund excluding cost of return shipping providing the goods purchased are not “custom” or “bespoke” items and the buyer takes reasonable care of the goods whilst they are in the buyer’s possession. This does not affect the buyer’s statutory rights as a consumer. 12.2. If the buyer chooses to cancel their order at any time later than the 7 days following receipt of the goods there will be a restocking and/or administration charge subject to a return acceptance by the seller. “Custom” or “bespoke” item cancellation requests may not be accepted should the manufacture of the item be already started or dispatched. “Custom” or “bespoke” item cancellations that are accepted by the seller may be subject to a restocking charge or administration charge applied to the buyer. The buyer may be required to return items using their own courier. 12.3. The seller will refund the buyer’s payment within 14 days of the goods being returned being subject to clauses 12.1 and 12.2. Original delivery charges are non-refundable. 12.4. 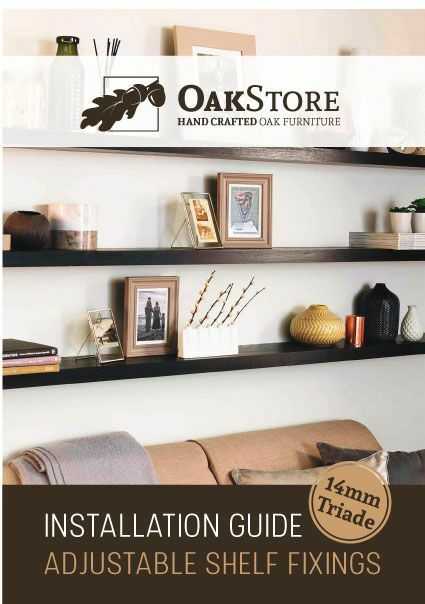 If the buyer wishes to cancel the order, the seller will require the request be done in writing by the buyer via email to sales@oakstoredirect.co.uk or by post at the address provided. Any cancellation request may be subject to a re-stocking fee or an administration charge and the original delivery charges may not be refunded to the buyer. 13.1. Where the buyer has received their order and no longer require all or part of the order then this may be returned at the discretion of the seller. If a return is agreed then the buyer has to arrange transport to the seller’s premises at the buyer’s expense whereupon the goods will be inspected by the seller who will decide what, if any, refund is due. “Custom” or “bespoke” items may not be accepted. Original delivery charges will in any case not be refunded to the buyer. 13.2. Where the buyer receives sub-standard or incorrect goods they should inform the seller within 7 days of receiving the order. The seller may then arrange collection of the goods for return to the seller’s premises. Upon receipt the seller will inspect the goods and, if the items are sub-standard or incorrect, will either refund the buyer or replace the goods. 13.3. Where the buyer has used or installed the goods then such use or installation shall be taken as conclusive evidence that the buyer has accepted the goods are in perfect condition. The buyer is responsible for checking that the goods are suitable for purpose and that installation conditions are correct at the time of ordering or acceptance of a quotation. 14.1. Neither party shall be liable for any default due to any act of God, war, strikes, lock outs, riots, accidents, fire, breakdown of plant, machinery or shortage or unavailability of raw materials. 14.2. The seller shall be entitled to delay or cancel delivery or to reduce the amount delivered if it is prevented from or hindered in or delayed in manufacturing, obtaining or delivering the goods by normal routes or means of delivery through circumstances beyond its control. Oak products supplied by the seller are natural products which are intended to be high quality items but they will be rarely flawless. Oak, like any other timber, will not always be completely flat and/or straight. The products supplied by the seller should be fit for their intended purpose. This may rely on the sensible use of fixings and common joinery methods to overcome slight imperfections, such as small knots and shakes. It is the responsibility of the buyer to ensure that the goods are stored correctly e.g., not in an outbuilding such as a garage or shed or where temperatures and relative humidity may be subject to fluctuations. The seller will not be responsible for any misuse or incorrect installation methods. Any advice given by the seller is for guidance only. The seller supplies natural products. Illustrations/images and samples cannot convey the variation in grain, colour, tone and natural defects. It is the responsibility of the buyer to ensure that they are fully aware of the appearance and nature of any goods ordered. Temperature and humidity are critical factors to Oak. 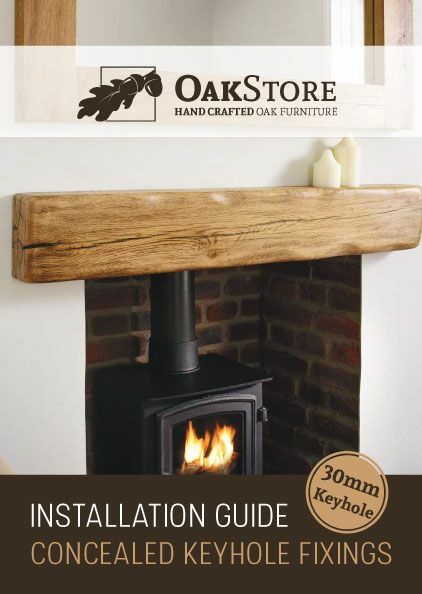 Kiln-Dried Oak products are typically supplied at a moisture content of between 8% and 15%. If they are allowed to significantly dry out or pick up moisture beyond these boundaries, there is potential that the product could warp, swell, crack, bow etc. 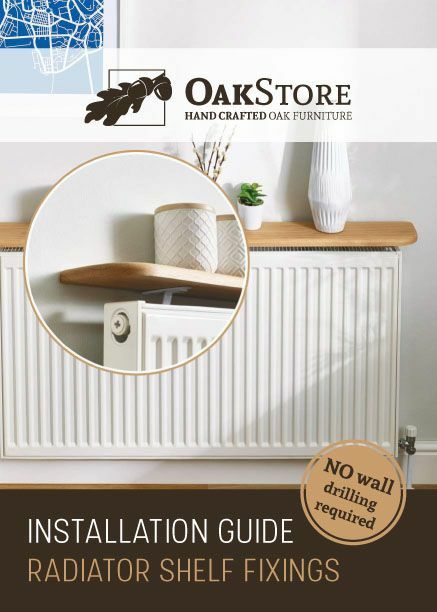 It is very important that your Oak product is sealed prior to installation or at least very soon after, and prior to exposure to heat and/or moisture. The seller cannot guarantee that the products provided are not subject to warping in accordance with clauses 15.1, 15.2, 15.3, 15.4 and 15.5 in order to minimise these products such as mouldings, window sills and floor boards should be fitted as soon as possible, as solid as possible. Certain products like but not limited to worktops and window sills have a ‘A’ and ‘B’ sides, where an A side is face up and has a fully finished surface, whereas, a ‘B’ side may have imperfections/knotting and should face down as an out of sight surface. Window Sills and other boards should not be installed in newly plastered locations until the plaster has fully dried out as the product could absorb the moisture which would render the product to warp, splinter or split. Some untreated oak can have small knotting and splitting that require filling. If a treatment has been chosen this will already be done by the seller. Mouldings/thresholds/skirting are provided in accordance with above and clauses 15.1, 15.2, 15.3, 15.4, 15.5 and can be supplied oversize to allow for any split ends to be cut away on site. 16.1. Neither party shall be liable for any delay or failure to perform any of its obligations if the delay or failure results from events or circumstances outside its reasonable control and the party shall be entitled to a reasonable extension of its obligations. 16.2. These terms and conditions are subject to change at any time without prior notice. In addition to the above the seller retains title to all goods until payment is received in full. Goods that are unpaid for can be collected/removed from any location if deemed necessary. The seller retains the right to accept orders and payments if stocks have temporarily expired, fulfilling the order upon stock replenishment. If an item is out of stock the customer will be contacted whereupon if the waiting time is viewed as too long by either party a full refund and order cancellation can be effected. The seller retains the right to cancel any order by notifying the buyer by email without detailed disclosure. 16.3. The seller will accept no responsibility for subsequent theft of any goods once delivered to an agreed location, the buyer must make necessary arrangements to avoid this possibility. 17.1. 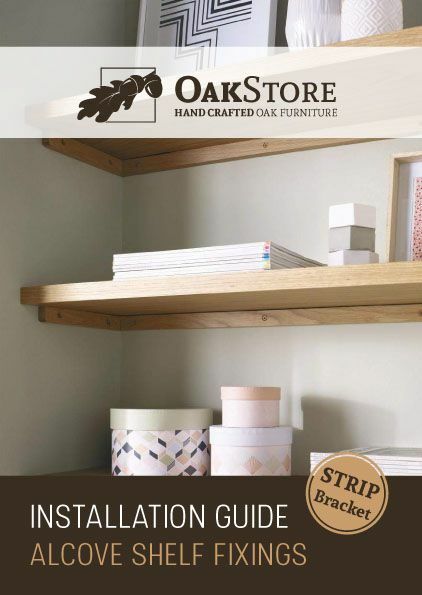 If you have any questions about the terms and conditions set out herein, please write to us by email to sales@oakstoredirect.co.uk or by post to Oak Store Direct, Unit 1 Riverside Works, Dockfield Road, Shipley, West Yorkshire, BD17 7AD, United Kingdom. The seller takes complaints about the products, staff and service levels very seriously. If the buyer is not satisfied in any way it is important that the buyer follows the sellers’ formal complaint procedures. 18.1. To raise a complaint the buyer will need to call the sellers customer service telephone number or in writing by email or letter addressing it to who initially dealt with the issue. It is advised that detailed complaints be in writing where appropriate to ensure all concerns are comprehensively addressed by the seller. - The buyer email or physical address so that a reply can be made. 18.3. The seller will respond to complaints by the buyer within a reasonable time, (usually within 20 working days). Should the complaint take longer than this, the seller will advise a time-frame that the buyer should get a response. 18.4. Should a complaint not be resolved to the buyer’s expectations then the complaint can be escalated to the complaints manager by letter. Please note it is advisable to place detailed complaints in writing, where possible, to ensure the buyer concerns are comprehensively covered. send an email to let the buyer know that the seller has received it, (as long as the buyer has provided a valid email address). investigate the buyers’ complaint; looking at whether the buyers’ questions have been answered. If the buyer is still not satisfied with the outcome; the buyer is welcome to escalate the complaint to the Managing Director. Please note, all installations are different and we can only offer a general guide. We have detailed below, as best we can for you to install the shelves yourself. NOTE - Please seek professional help if you're unsure - as we cannot offer technical support; nor can we take any responsibility for any incorrect installations or damage caused during the installation process. Refunds/returns are not available for items incorrectly installed and/or damaged during the installation process. Please ensure you select the correct supports when making your order. Each support has a different drilling requirement and each hold different weights. Listed below are details for each support, to give you an idea of what you'll need. For wider shelves, not holding much weight, the 12mm supports will be acceptable, but we can't guarantee tipping will not occur. If you're unsure, please select a heavy duty support or rebar installation. As mentioned, we cannot yet offer a technical support service. Therefore, it's important that you contact a proffesional if you're unsure about any part of the installation techniques required for floating shelves. © 2014-2018 Oak Store. All Rights Reserved. Never miss out on our latest product offers and biggest deals. Sign up to our free newsletter today!